Ameresco’s vice president of microgrid services, Will Agate, describes the process of getting started on your microgrid project. I am just returning from a microgrid leadership workshop that was hosted by the National Renewable Energy Laboratory, known by many as NREL, where one of the topics of discussion regarded how to help clients to get started in considering a microgrid solution for their particular organizational needs. While this discussion is still fresh in my mind, I wanted to share some thoughts. Clearly, the decision to get started is often one that feels to many as a huge undertaking, when in fact it really doesn’t need to be with the right energy solutions provider on your team. The very first step of a microgrid project is in carefully considering and defining the needs of your organization and its community. This definition should start with expressing your core values and objectives, right down to your core mission statement. From here, you simply explain how these goals and objectives relate to the particular energy challenge or set of needs that you want to address. This is where we like to start our involvement when a client comes to Ameresco for a specific purpose. By starting with this holistic understanding of these foundational considerations, we are much more likely to offer an appropriate set of options that tie back to the organization’s needs, and can lay the groundwork to draw some conclusions about their energy considerations. The second step is a highly collaborative effort between your organization and the energy solutions provider, wherein we begin to establish options, priorities, and an implementation plan. Consideration starts with understanding the differences inherent to the kind of organization that you are, in considering a new energy strategy, or set of solutions. For example, an educational institution such as a college or university, for the most part, has a different set of objectives and decision-making steps, which will be strongly influenced by the voices from its faculty and student bodies, whereas, if you are a private real estate developer, your interests are more likely focused on desired outcomes that improve your business or residential client business attraction and retention successes. Other organization and community types that stand to benefit from the set of microgrid solutions include: industrial owners and manufacturers, healthcare and hospital owners, cities and local government entities, and senior housing centers, so each of the communities being considered will also share a different set of objectives and requirements. The very first step of a microgrid project is in carefully considering and defining the needs of your organization and its community. When you start to think about how a microgrid project might benefit you, the most important thing for you to do is to consider the metrics of what you wish to achieve, in your own terms. Ameresco helps our clients identify what these might be, generally including: financial returns, energy reliability, resilience in instances of the big grid going down, and increased renewable energy deployment and carbon reduction, to name the most obvious metrics. In all instances, we understand that every organization makes decisions with three key considerations — economics, societal outcomes, and the environment — but that the relative importance of each of these considerations will be different for each user type and by client. We work with each client to develop its unique energy needs statement which we then use to develop a broader energy implementation plan. By carrying out the steps as described that include the overall organization’s purpose, we assure that the energy implementation plan leading to the microgrid project always stays aligned with the organization’s overall master plan. This process creates a simplified way for businesses and organizations to proceed with a microgrid project. At this stage, as the third and final step, the organization turns much of the planning over to the energy services provider, which is when we design on a high conceptual level and determine which energy solution options should make the final cut. This is also the stage in the process wherein we work with our clients to determine the relative importance of achieving different resilience measures, which are becoming increasingly important considerations as part of the overall economic return as the microgrid project is developed. 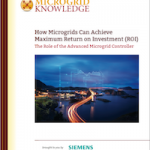 From these considerations, the preliminary microgrid system is designed and begins to take shape. From here, we outline details such as the associated upfront costs, lifecycle cost implications, and overall economic returns. Any proposed plan is always measured against the base case of a ‘business as usual’ scenario, so that the client has a baseline from which to make decisions. When making decisions as to whether to proceed with a more in-depth design of a microgrid-based solution, the economics obviously have to stack up. This may lead to the solution being deployed over a longer period of time, or the implementation of only the critical parts of the full plan. Regardless, this process creates a more complete and simplified way for businesses and organizations to proceed with getting a potential microgrid project started. Putting all of this information together and following this process can lead to a much better understanding and fit for the microgrid solution that is best for your specific needs, and provides a well defined and manageable way to get there. 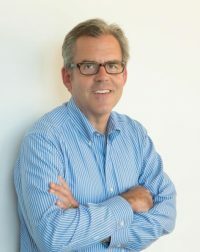 Willl Agate is vice president of microgrid services at Ameresco.